You like enjoying your favorite movies and interesting video clips on your new iPad or iPad 2 but the sound is a bit low? Take a look at Amplifiear, the little gadget should be able to solve the problem. 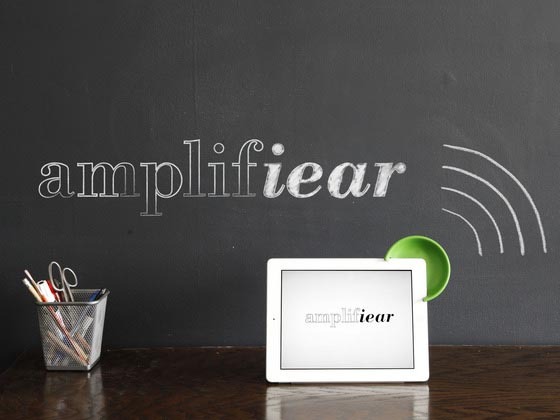 Amplifiear is a passive amplification device that measures 4 inches in diameter, and designed for iPad 2 and iPad 3. 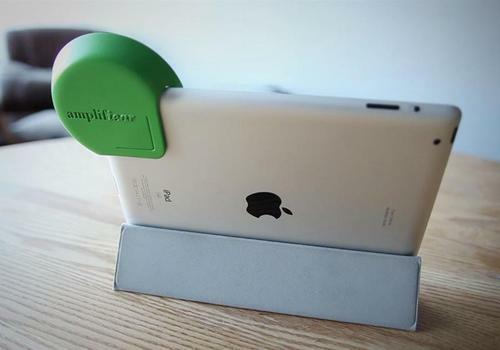 As we can see from the images, Amplifiear features a unique sound-friendly round structure in order to amplify the sound of your iPad 2 or iPad 3 for your favorite songs and videos, and without the need of electric energy, while the portable design also allows you to take it anywhere with ease. Moreover, the integrated flexible clip lets you securely fasten the amplifier to your iPad 2 or the new iPad, which differ in thickness by 0.6mm, of course, you can also conveniently remove it in a second. Apart from that, the passive amplifier is made of ABS plastic for portability. 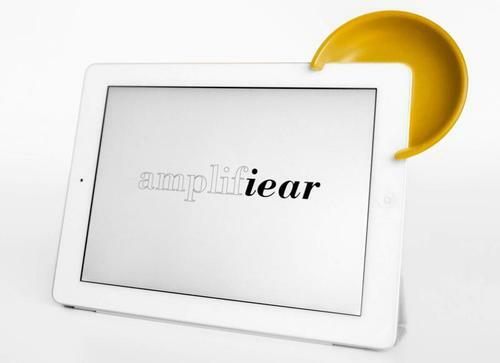 At present, the design of Amplifiear is raising fund on Kickstarter. 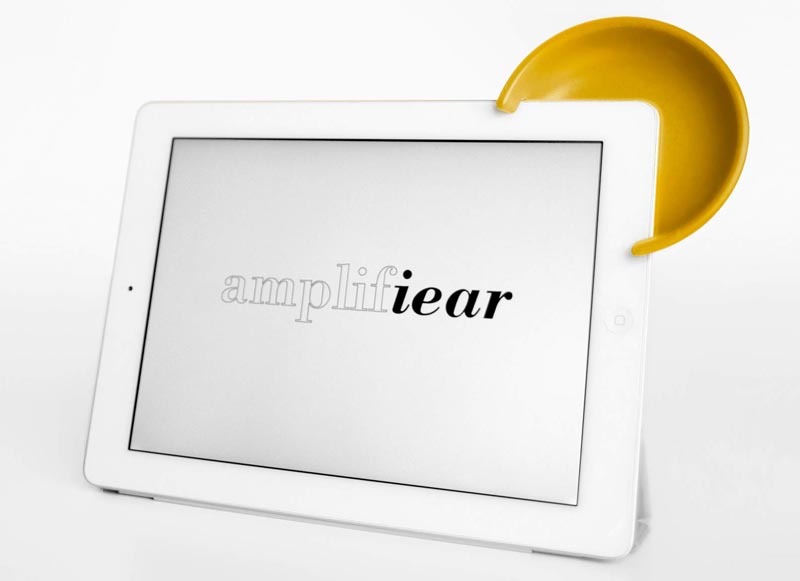 Pledge $20 will let you own an Amplifiear amplifier. If you’re interested, jump to Kickstarter official site for more details.